Upon unboxing, I literally setup the Google Home device without inputting any passwords for my WiFi nor my apps. Google Home is smart enough to use the existing passwords on my Android smartphone to connect to WiFi and also link my Google Home to Pandora and Nest. This I really like and is going to make setup for grammas and grampas easy as pie. First thing I tested was its translating capabilities and indeed, the Google Home device is going to help me learn languages much faster, especially when I want to be hands-free. While I could use my phone also, it’s nice to have always-on device ready to help whenever I need to. Also, it is going to help my daughter study such as learning to spell certain words, which works quite well. Google Home also comes with 6-months of YouTube Red, which you will need to access YouTube’s music but I find this one feature absolutely fantastic over my Amazon Echo, which I have it hooked up to Pandora and cannot play specific songs I want, only the genre. With Google Home, you will be able to play back pretty much any music in the world as most of them exist on YouTube. Want to play “Hotel California” by the Eagles? Just say, “Okay, Google, play Hotel California”. This makes it really simple to play any song in the world you want and my daughter will love it. I was also able to hook up my Nest thermometer within matter of seconds and now I am able to control my home heater just by saying, “set temperature to 65”. Now, home automation is still early in the works and does not support my Belkin Wemo outlets (whereas my Amazon Echo does) but it shouldn’t be too long before it starts supporting more home automation devices. Speakers are also very LOUD with a good amount of bass. You won’t be disappointed by its sound and it does have 3 speakers inside the unit for 270-degree surround sound. At $129, this is almost half the price I paid for my Amazon Echo (which I paid $199 at release time) plus it gives you much “smarter” artificial intelligence. Also, Google will be updating with many new features which will make it more valuable as time goes on. 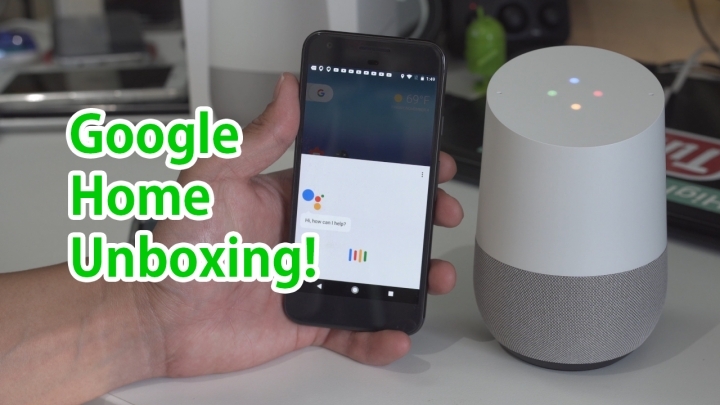 As a person who buys many new products, this is definitely one I wanted to buy and bought and highly recommended for those of you who want to take power of Google into your home. You can get the Google Home here. Next story Google Home vs. Amazon Echo! – Which One is Smarter? Previous story LG V20 vs. Huawei P9 SOT(Screen-On-Time) Battery Test!